Notes: Talking about what are wearing and what you pack for vacation! 1 Notes: Talking about what are wearing and what you pack for vacation! 2 Ich nehme_____ mit. I am taking _______ with me. 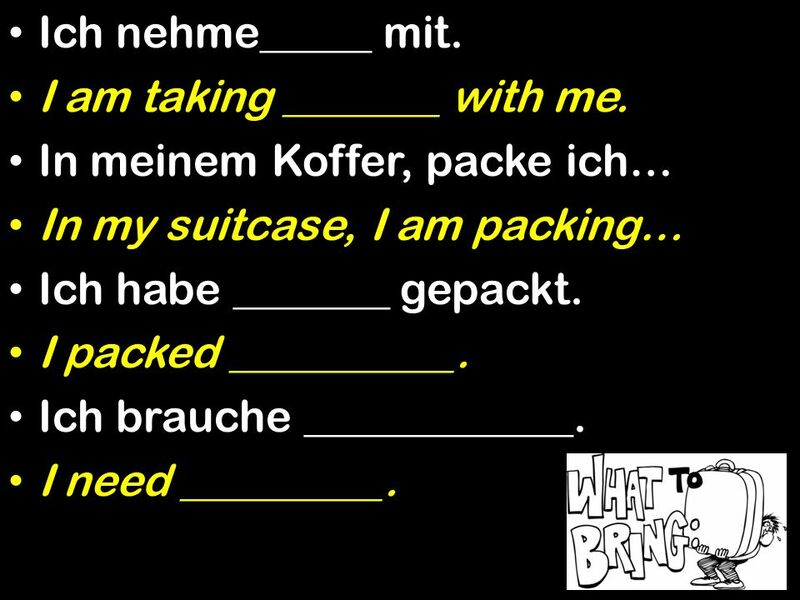 In meinem Koffer, packe ich… In my suitcase, I am packing… Ich habe _______ gepackt. I packed __________. Ich brauche ____________. I need _________. 3 Ich habe ____ mitgenommen. I took _________ with me. Ich packe meinen Koffer. I am packing my suitcase. Ich habe meinen Koffer gepackt. I packed my suitcase. 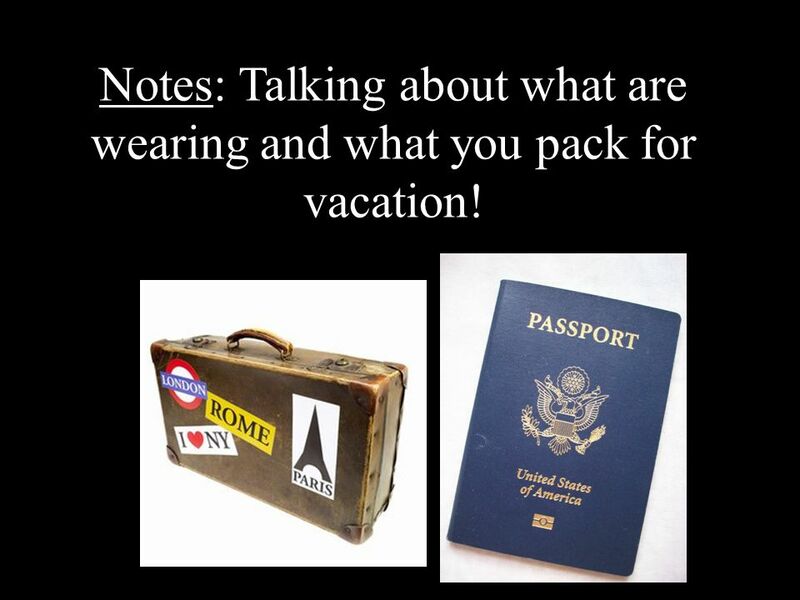 Herunterladen ppt "Notes: Talking about what are wearing and what you pack for vacation!" Alex will Jeans kaufen. 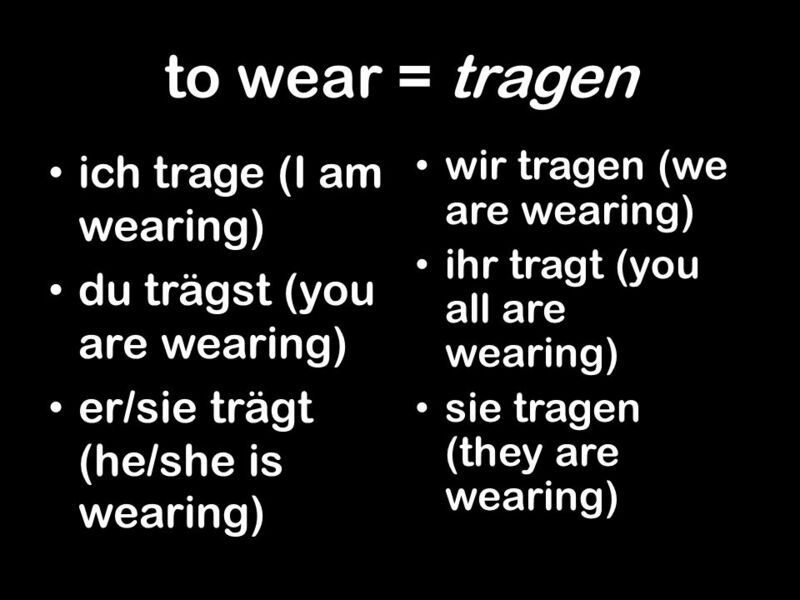 preiswert = reasonably priced teuer = expensive Die Auswahl = selection bestimmt = certain(ly) passen = to fit dunkel= dark hell. Questionnaire About Healthy Eating. The students went to a fastfood restaurant. They asked some questions to the customers. This questionnarie applied. 10 Sentences You Will Never Need To Use Hello. Im the Confused and Angry Wolfman. Im going to teach you ten phrases you will never need to use.